Islanders stand on an embankment on Hatiya Island that is crumbling into the sea due to erosion in Noakhali District, Bangladesh, Oct. 22, 2018. Villagers are receiving plots with fish ponds on a free lease to help them stay afloat. 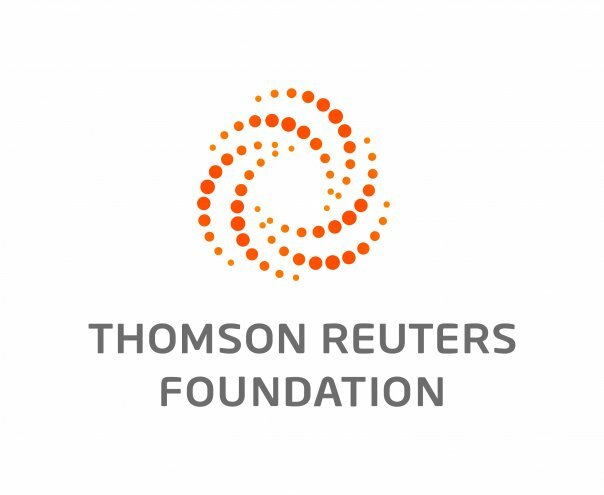 HATIYA, Bangladesh, Jan 14 (Thomson Reuters Foundation) — Ferdousi Akter's family struggled to survive after a crumbling riverbank forced them to abandon their home and move to a new part of the island where they live, off the Bangladesh coast. Her husband worked as a day laborer on fishing boats but earned too little to cover their expenses. "I got a pond and a piece of land for 10 years," said Akter. "Now I am farming fish in the pond and cultivating vegetables on my land — and getting benefits." 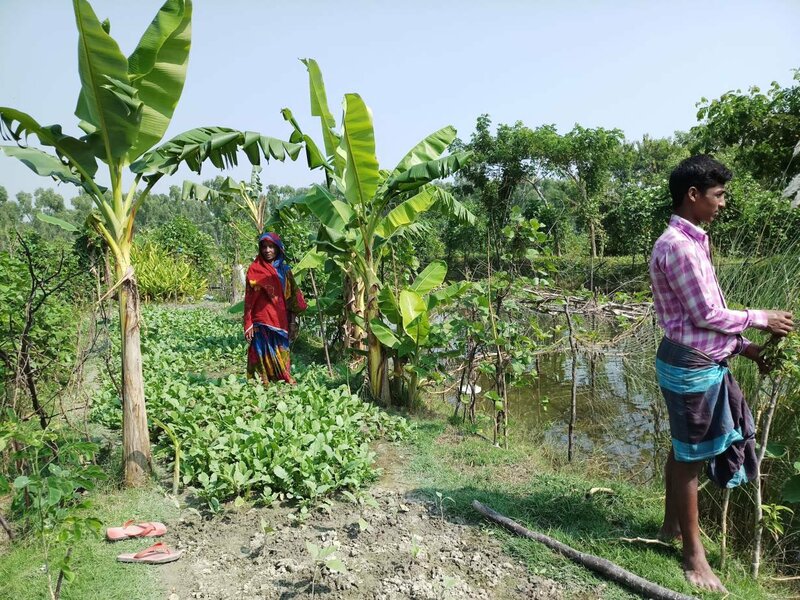 Riverbank erosion made worse by heavy monsoon rains upstream had displaced the family repeatedly from their home on Hatiya, a 371-square-kilometer (143-square-mile) island located in an estuary where the Meghna River flows into the northern Bay of Bengal. Forest officials said a new effort is underway to distribute another 20 hectares with ponds to 100 families in Hatiya, which has a population of about 500,000 — and the scheme may be expanded further. A woman and her son work on her land on Hatiya Island which she got on a 10-year lease from the Bangladesh Forest Department in Noakhali District, Bangladesh, Oct. 22, 2018,. According to officials at the Bangladesh Water Development Board, several hundred acres of arable land, as well as many houses, markets, mosques, schools, roads, cyclone shelters and 14 kilometers of embankments on Hatiya Island have been gobbled up by seawater in the last two years. Villager Majhi said that after losing homes and agricultural land, about 100 families are now living in centers intended as cyclone shelters. In its 2016 annual report, development group BRAC warned that about 27 million Bangladeshis were predicted to be at risk of sea level rise by 2050, with two-thirds of the country less than 5 meters above sea level. Government data shows sea level rise of about 5.7 millimeters per year at Char Changa station in Hatiya, and 3.4 millimeters per year at Hiron Point in the Sundarbans. "Seawater was far away from our island in the past, but now I feel the sea is coming nearer to us," said Abdul Khaleque, 45, a resident of Manpura Island in Bhola. One-third of the island has been swamped by the ocean in the past 20 to 25 years, he added.